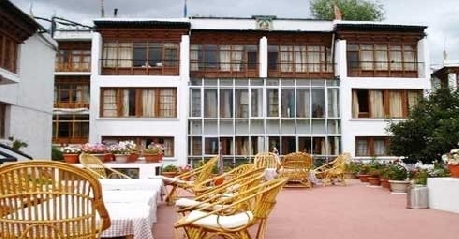 Hotel Omasila is a beautiful mix of the Ladakhi hospitality and contemporary advancement. 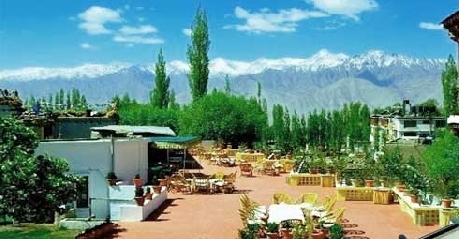 Hardly a 12 minute drive from the Leh Airport, Hotel Omasila provides a wonderful retreat in the lap of nature with breathtaking sights of the snow capped mountain peaks and the Leh valley. The architecture and décor of the hotel reflect the local culture and tradition. 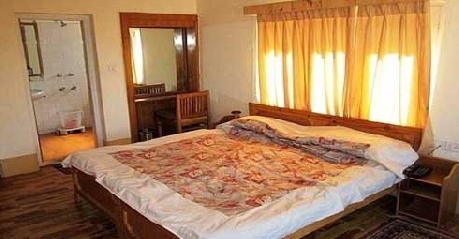 The hotel provides several state-of-the-art amenities and conveniences including laundry and dry cleaning services, airport transfer (surcharge), power back up, cyber café, well equipped conference hall, doctor on call, parking facilities, safety deposit box, travel assistance, car hire (surcharge), currency exchange and 24 hour front desk. The hotel also facilitates private celebrations and social events on request. 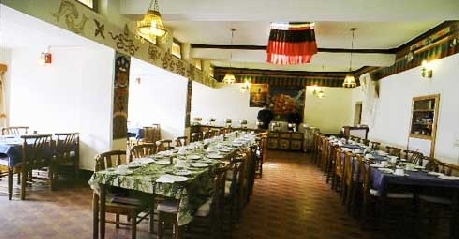 The hotel also organizes cultural shows, sightseeing as well as trekking trips for the guests. Indoor games and playground for children is available. The market place is just a 5 minute walk from the hotel premises and various places of attraction like Shanti Stupa, Leh Palace and Sankar Gompa are also close by. Size – 200 sq. ft. 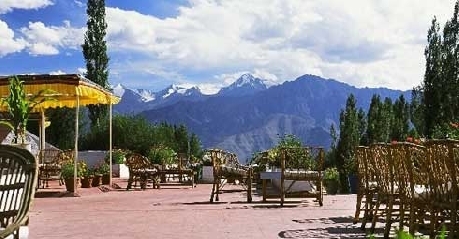 These rooms have a cozy ambience with a view of the picturesque Leh Palace, Khardong La Pass and Shanti Stupa as well as the beautiful terrace gardens. All the rooms are tastefully furnished and feature contemporary facilities including king sized / twin beds, direct dial telephone, LCD TV with satellite connection, tea and coffee maker, work desk with lamp, 24 hour room service and turndown service. The rooms have attached bathrooms fitted with shower and complimentary toiletries. Central heating is facilitated during the winter season. Size – 230 sq. ft.
Offering a stunning view of the surrounding mountain ranges, the deluxe rooms include single as well as dual occupancy. The modern amenities provided in these rooms include king size bed, work desk with lamp, tea and coffee maker, telephone with direct dial facility, LCD TV with satellite channels, complimentary continental breakfast, turndown services and room service. The private bathrooms are well appointed with shower and bath accessories. Rooms are centrally heated during the winter season. The traditional Ladakhi décor brings an aesthetic charm to the rooms. Size – 390 sq. ft.
Adorned with Ladakhi wood work and frescoes, the lavish executive suites incorporate a master bedroom along with an attached living room furnished with a comfortable sofa. Furnished with a king size bed, the suites include modern amenities and comforts such as LCD satellite TV, two line telephone, DVD player, tea / coffee maker, work desk with lamp, turndown services, scale, continental breakfast complimentary and room service. The private bath is well equipped with bath tub, hair dryer and complimentary bath accessories. Central heating in rooms is provided during winters. The restaurant is elegantly decorated with beautiful artwork, Himalayan upholstery and furnishings. The restaurant is a blend of traditional interiors as well as modern furniture. The orange – brown color combination provides a warm and relaxed atmosphere. The menu features a variety of delectable food choices including Indian, European and Chinese cuisines. The Ladakhi cuisine is something to look forward to during your visit which is authentically prepared with locally grown vegetables and spices. The hotel also features a well stocked cellar that has some of the finest liquor. Guests can enjoy a cold evening with friends with their choice of wine.